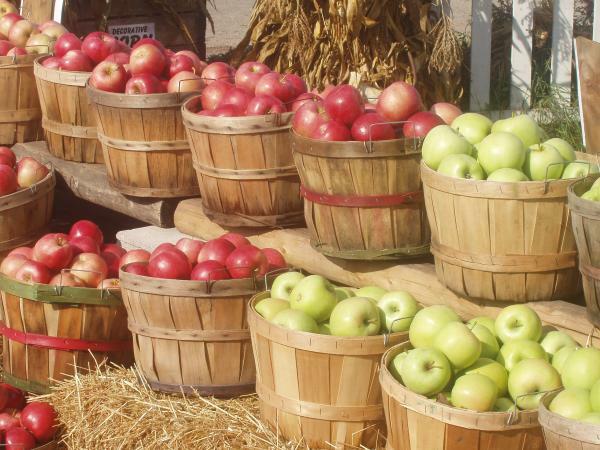 It’s apple season, so take advantage of the fresh local apples in your area. Pack up the family for a weekend trip to a local orchard for some apple and pumpkin picking- I promise it will provide loads of fun for your little ones. If you don’t have plans this weekend then you are in luck! Downtown Springfield will be home to the Food Day Celebration on Saturday from 10 am- 6pm. I will be presenting some of my favorite fall cooking demos, including this simply amazing Apple & Walnut Salad- that is a hit with my toddler. Come on out this Saturday and take a taste for yourself! Place apples in a medium bowl and toss with lemon juice. Add walnuts, celery and raisins and fold together. In a small bowl combine the sour cream and mayo and then fold together with the apple and walnut mixture. Season with a little salt and pepper.